This side is for all animals that is not longer with us, unfortunately. I am proud to show our cats and dogs through our life and theirs. Everyone have a special placein our heart. 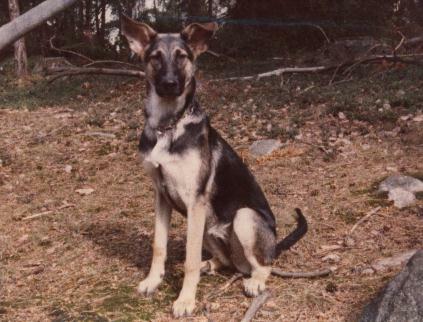 Above:Kickan as a young dog and very lively and so careful with me when I was younger. Want to tell anyone about your lost pet? 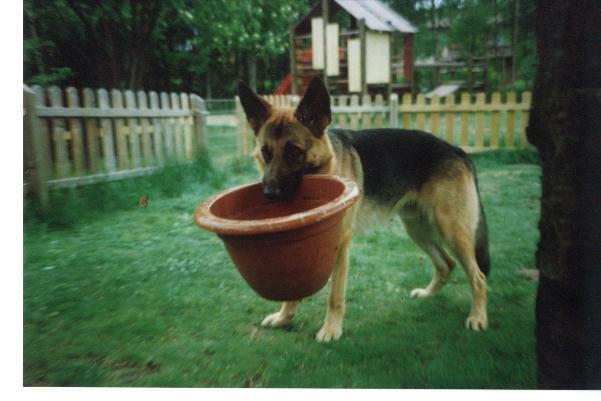 I am interested of what happend to you and your pet, press the text line and share it with me. 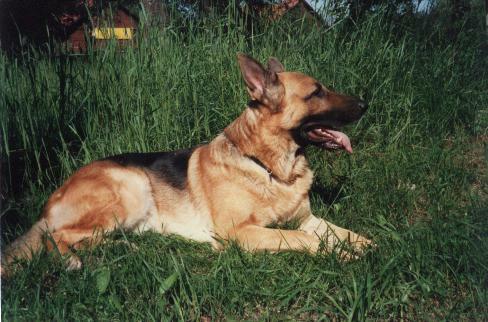 Yatzy was a very proud dog and kind. Onfortunatly he got some sort of infection in his back and got paralyesd, and later on he could not get up without any struggle. But I know, My mother know that he had a qualified life with us. 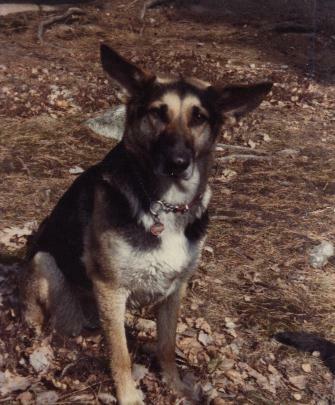 Below: Toddy with Soda, Toddy was a very loving and caring dog who had some problems with his first owner. Our information was that their other dog who was an Afghanistan dog and did not like "toddy" at all. And apparently they have been smashing with the newspaper at them because he was terrifying of the sound and tried to hide at all times. 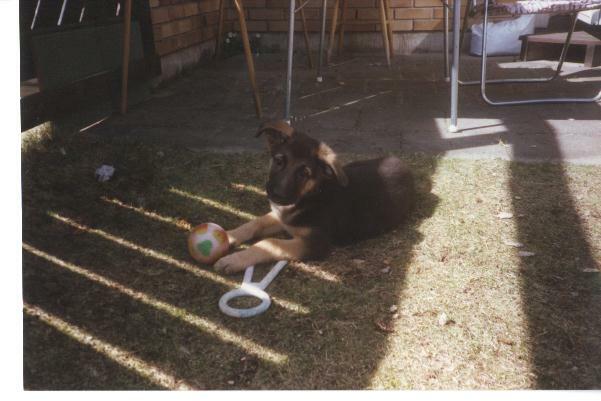 When my mother got him he was like a new dog but still terrifying of the sound of a newspaper smashing on the table or a bench. He soon started to become very in love with every "dog girl" he saw and he used to turn around as well as soon he got the chance to do so. So my mother had to neutered him and he became very calm, but later on in his life he probably got some "infection" in his brain and started to see ghosts in his mind and in the middle of the night he could start making sound like he is hearing something but there was nothing there, and it happened more then ones and then the doctor told us that it was in his head and there was nothing my mother could do, sadly, but he is still in our hearts. 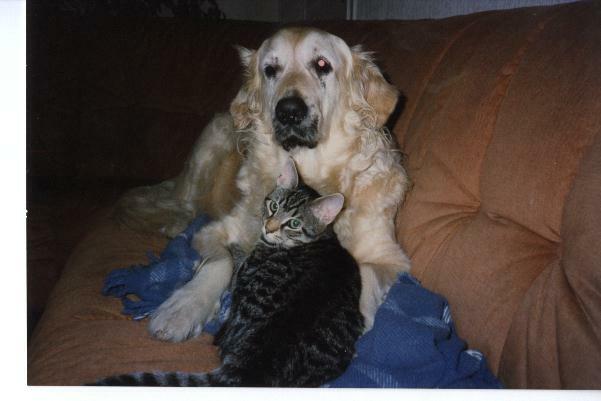 Soda and him was best buddies a and had a very good life together. 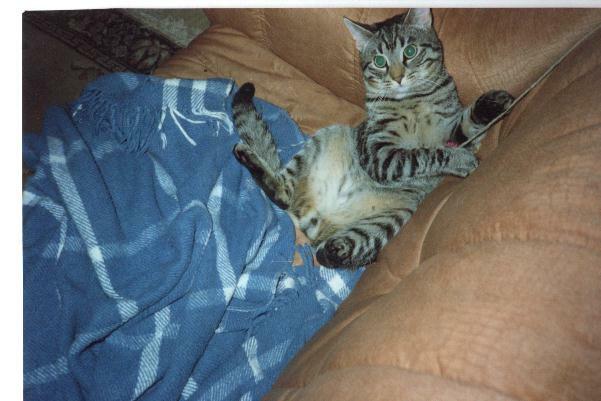 Soda had a very hard life as well before my mother got him, he was found underneath a park bench and very skinny and dirty. He did not like any humans for some time, but after many butts he finely gave up to only my mother and me, but as soon anyone else came in side our house he was gone for a day or two and we could see that he was not well so we decided to let him go to animal heaven. But he was never the same after one time my mother saved him from the ice slippery cold roof one winter, and after that he became more affection to us and wanted to sit in our lapps and cuddle. Belove: Here we have a cat that don't have anything to lose by showing everything he have, even though it is not much. But he was a sweetheart and I will always remember him good. Above: Morriz as a babe, and very cute. Belove: Morriz with one of his favorite toys, he liked to carry around things for some reason. 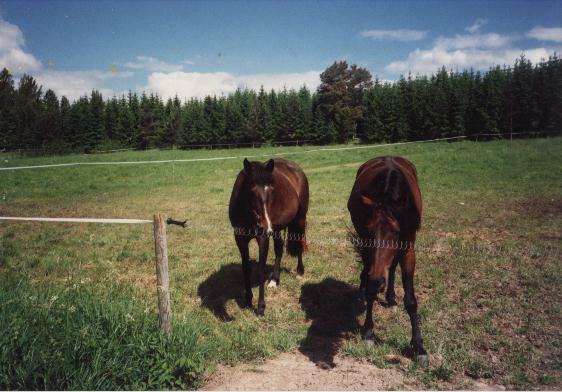 This is Fortuna and her mate.